Democratic presidential candidates Hillary Rodham Clinton and Bernie Sanders differ on quite a bit these days. One of the more intriguing differences is seen in how they want the vacancy on the U.S. Supreme Court to be filled. Sanders would pull the nomination of Merrick Garland — who President Obama has appointed to replace the late Justice Antonin Scalia — off the table if he is elected president in November. He then would pick someone of his choosing. Clinton doesn’t even think that’s a topic for discussion. She said this week that Obama is president until January and he deserves to have his pick for the court considered by the U.S. Senate. She also takes sharp aim at the reason Senate Majority Leader Mitch McConnell gives for obstructing this nomination, for wanting the next president to make the choice. McConnell said “the American people deserve a voice” in determining who that person should be. Fine, said Clinton. “I was one of the 65 million people who voted” for President Obama’s re-election in 2012, she said, adding that McConnell is now trying to silence her voice, along with tens of millions of other voters who choose Obama over Republican nominee Mitt Romney. You got that right, Mme. Secretary. I, too, am among the nearly 66 million Americans who cast their ballots for the president. I don’t like being silenced any more than Clinton does. Nor should the rest of those who cast their ballots for the president. Don’t we operate in a system that grants power to the candidate who gets more votes than the other person? Yes, we have one president at a time. The man in the hot seat right now still has all the power entrusted to him by the U.S. Constitution. Let this nomination go forward, Mr. Majority Leader. Americans’ voices have been heard. 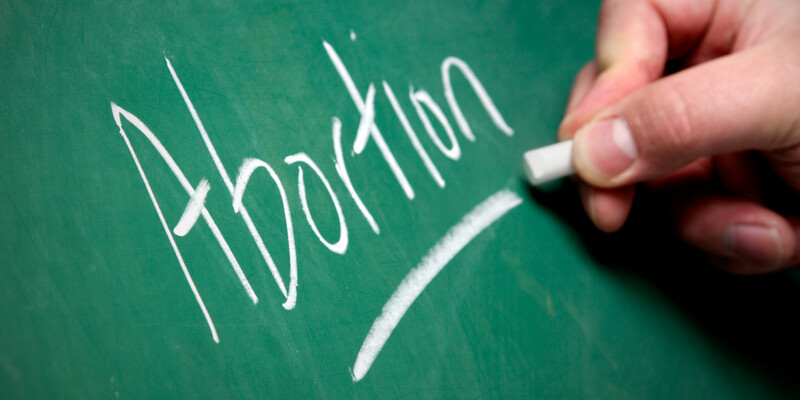 Of all the commentary being tossed around in the aftermath of Donald J. Trump’s absurd assertion that women should be “punished” for obtaining an illegal abortion, the most interesting came from a Republican strategist who doubles as a commentator for CNN. Anna Navarro said this morning that Trump managed to do the “impossible,” which she said was that he managed to anger both the pro-choice and pro-life sides of the abortion divide at the same instant. Trump told MSNBC interviewer Chris Matthews at a televised town hall meeting in Green Bay, Wis., that women “probably” should face some punishment if they got an illegal abortion. Matthews questioned Trump on how the government could make abortion actually “illegal,” to which Trump didn’t have an answer. The Republican primary campaign presidential frontrunner quickly backed off that statement, declaring that the doctor should be the one facing punishment, not the woman — who he described as a “victim” of the illegal act. That didn’t go over well at all with the pro-choice crowd. The pro-life crowd, meanwhile, was still steaming over the notion that a woman could be punished for obtaining an abortion. And so the drama continues. The fun factor of this campaign just keeps getting stronger. Donald J. Trump finds himself in the middle of a tempest over arguably the most contentious political issue ever. The Republican Party presidential primary frontrunner said Wednesday — in response to some aggressive questioning by MSNBC’s Chris Matthews — that a woman should face “some punishment” were she to obtain an illegal abortion. Yep. He said that. A woman should be punished. Then the firestorm erupted. What in the world is he talking about? 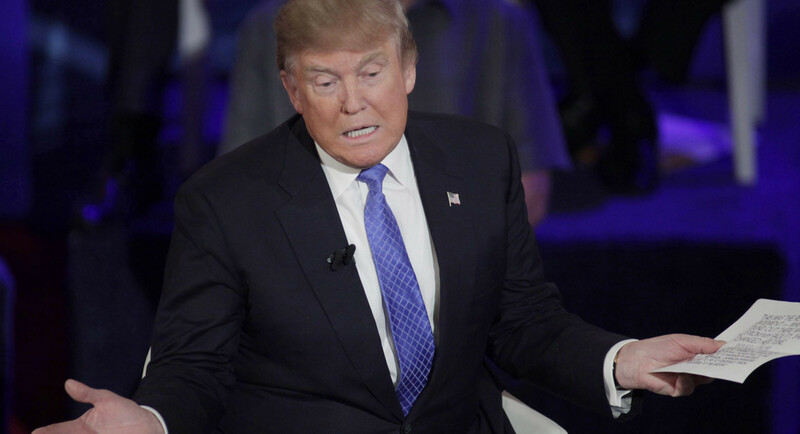 Republican candidates Ted Cruz and John Kasich were quick to condemn Trump’s statement. 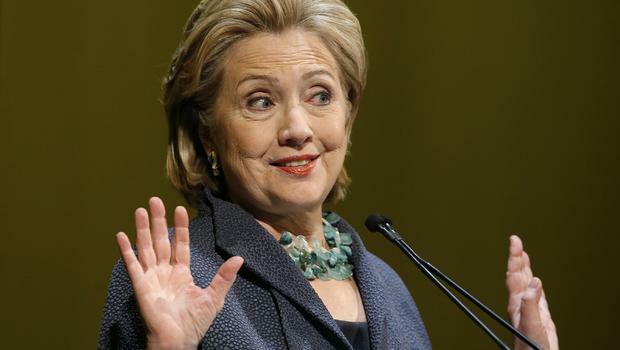 Then came the fury from Democratic candidates Hillary Rodham Clinton and Bernie Sanders. Within a couple of hours, Trump issued a statement that said the doctor should face the sanction, not the woman whose pregnancy was ended. 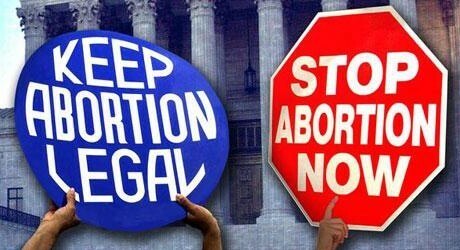 I won’t bother you with a dissertation on my own views of abortion, as you perhaps already know I remain pro-choice on the issue. What is bothersome about Trump’s answer and then his recanting of his initial response is the non-preparedness the candidate keeps exhibiting when pressed for answers on these critical issues. I’d be curious to know what changed Trump’s view on this issue. How did he go from one firm position to another? Perhaps the only other major-party politician I can recall pulling such a dramatic switcheroo would be George H.W. Bush, who abandoned his pro-choice views immediately upon accepting Ronald Reagan’s invitation to join him on the GOP presidential ticket in 1980. Donald Trump initial answer to the question of whether a woman should face punishment reveals what Sen. Cruz identified correctly as Trump’s utter lack of preparation to discuss these issues when confronted with them. Somehow, though, I cannot escape the feeling that Trump will find a way to deny he ever said what millions of Americans already heard him say. Most disturbing of all will be that many Americans will believe him. Protecting the Texas coast? What a novel concept! Well, ruffle my hair and call me Frankie! Texas Land Commissioner George P. Bush has made a commitment to a portion of the state that has been, well, seemingly kind of put on the back burner for too long. Bush has pledged to make coastal protection a top priority of his during the 2017 Texas Legislature. The last land commissioner to make such a pledge — and then follow through with it — was a Democrat. You might remember him. His name is Garry Mauro who, in 1998, had the misfortune of running for Texas governor against an incumbent named George W. Bush. Gov. Bush mauled Mauro by more than 30 percentage points while cruising to re-election. It was a shame that Mauro didn’t do better against George P.’s Uncle W. He had held statewide office for well more than a decade and had done a creditable job as land commissioner. I got to know him while working along that coast, in Beaumont. I was editorial page editor of the Beaumont Enterprise and witnessed a lot of Mauro’s commitment to protecting the coast. He started coastal cleanup operations; he sought to protect wetlands from further erosion. He was a coastal region champion. That emphasis went by the wayside at the General Land Office during the administrations of David Dewhurst and Jerry Patterson. Now we have another Republican, a first-time officeholder at that, committing publicly to protecting the coastline. My wife and I moved from the coast to the High Plains of Texas more than two decades ago, but my own interest in coastal matters has remained high … even though I haven’t written much about them on this blog. I am heartened to hear the land commissioner make a public commitment to strengthening the coast, which faces hazards every year during our hurricane season. The coast ought to matter to the entire state. I’ll offer George P. Bush one suggestion: Get on the phone and call Garry Mauro and ask him for some advice on how to proceed with ensuring greater coastal protection. Hey, you can do it private, P. No one has to know. Find homes for the homeless? An earlier post on High Plains Blogger prompted a good buddy of mine to send me a link to a story published a year ago on how another city decided to deal with homelessness. The city is Medicine Hat, Alberta, Canada, population 61,000. The mayor of Medicine Hat, a self-proclaimed “fiscal conservative,” Ted Clugston, decided the city should provide homes for every homeless person within 10 days of their learning they were without a home. The blog I posted earlier commented on the Amarillo City Council’s decision to table an ordinance that regulates where homeless people can sleep. Is it possible for Amarillo — with its population of nearly 200,000 residents — to embark on an ambitious plan to end homelessness? It seems impossible for a couple of reasons. One is that Amarillo is home to a major interstate highway interchange. I-27 ends at I-40. It’s the east-west highway — I-40 — that brings a lot of transient traffic through the city. 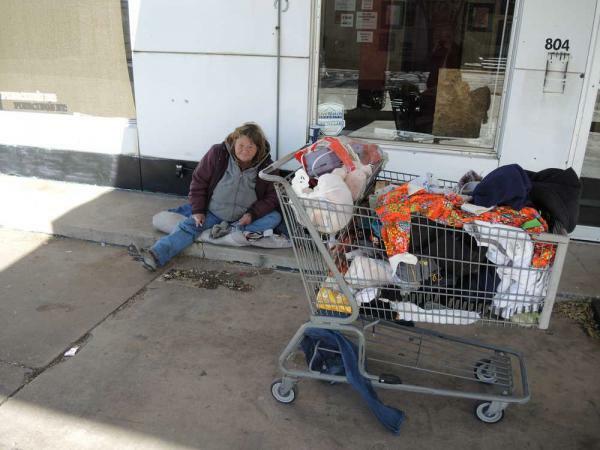 Are these folks “homeless” Amarillo residents? Well, no. They are passing through. How many of them are there? I haven’t a clue, but there would seem to be a fairly greater number of them than the folks who live in Medicine Hat. The Canadian city also sits astride a major highway, Canada’s Highway 1. So perhaps that city gets a fair amount of pass-through transient traffic as well. I think the second reason a homeless eradication program seems unrealistic for Amarillo is that, to be candid, I don’t sense the political will here to provide housing for every homeless person. According to the Huffington Post: “If you can get somebody off the street, it saves the emergency room visits, it saves the police, it saves the justice system — and so when you add up all those extra costs … you can buy a lot of housing for that amount of money,” Clugston told the (CBC) network. He initially resisted the idea of finding housing for those who need it. Then he changed his mind. Would we really commit to such an ambitious and proactive project? Do we have the civic and political leadership to lead such an effort? My gut tells me “no.” I could be persuaded otherwise. Donald J. Trump more or less laid down the predicate for his candidacy when he announced it this past summer. The Republican Party had better treat me nicely, he said, or else I’m going to make life miserable for the political brass. I cannot help but wonder today if that prophecy is about to come true. Trump and the other two surviving GOP presidential candidates are taking back their pledge to support the party nominee — no matter who it happens to be. Ted Cruz went back on his pledge, presuming the nominee is Trump; so did John Kasich, for the same reason. Trump has more delegates than any other candidate. He’s in the best position as the primary campaign heads into its second half. What happens, though, if he gets to Cleveland with a commanding delegate lead, but is still short of majority he needs to win the nomination on the first ballot outright? This is where it might get real nasty for the Republican Party high command, which already detests the idea of Trump carrying the party banner into battle against the Democratic Party nominee. Trump said he wanted to be treated “fairly” at the convention. I’m guessing by “fairly” he means that he gets his way. The other candidates would drop out and release their delegates to back Trump. He well might demand that the Republican National Committee insist that the others drop out. If it doesn’t, well, then what? Trump then might have to decide if he’s going to carry through with his threat to run as an independent, which would guarantee the Democrats keep the White House. What happens if he stays within his newfound party home, captures the nomination and then goes on to get blown out by the other party’s candidate who, I am going to presume, will be Hillary Rodham Clinton? You know as well as I know that Clinton’s camp is going to be loaded with ammo with which to launch a heavy barrage against Trump. No matter which course Trump takes between now and the convention, the road ahead for the Republican Party appears to be strewn with land mines, sink holes, booby traps, crocs in the swamp … you name it. I’ll hand it to the party’s presumptive nominee. He gave the country — and his party — fair warning. Amarillo, we have a classic conundrum on our hands. City officials want to “protect the public” by issuing rules restricting where individuals can sleep. Now they find themselves grappling with whether proposed new regulations infringe on the rights of people who have nowhere to go, nowhere to sleep at night — except in public places. Here’s where City Council members might wish they actually got paid real American money for the job they do to set public policy for a city of 200,000 residents. The council tabled a proposed ordinance until city legal staff can figure out a way to restrict where folks can sleep at night without taking away the rights of those who live on the street. The council then decided against accepting the proposed ordinance. Oh, the difficulty of some public policy matters. Mayor Paul Harpole said the purpose of the ordinance is to protect the public and not harm the homeless. OK, Mr. Mayor. Let’s then try to figure out how to do one thing without doing the other. From my peanut gallery perch, it appears the city is facing a situation where any controls on where homeless people can sleep at night are necessarily going to inflict some measure of “harm” to those who cannot find shelter. Harpole, incidentally, cast the lone vote against tabling the ordinance. 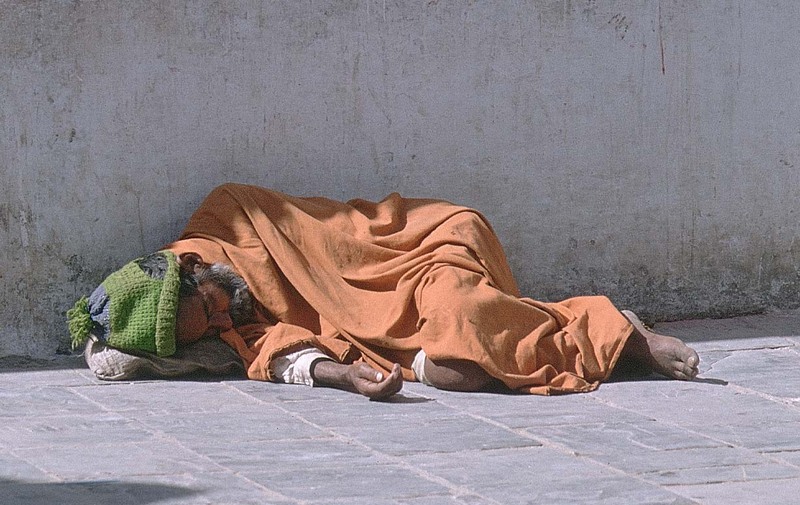 The city cannot let individuals sleep in public parks, or on public sidewalks, or in abandoned buildings. Nor can the city afford to build shelters that will accommodate all the homeless individuals who currently are looking for somewhere — anywhere — to sleep at night. The issue is coming back to the City Council agenda next week. There might be some tightening of the language to give the proposal some more precision and perhaps seek to protect the city’s homeless population. For the life of me, I’m trying to understand how any new rules can avoid some discomfort among the people they affect the most. Good luck, council members. You’ll need lots of it — and some wisdom, too. Cuba’s ruling communists are getting a snoot full from the proletariat. They’re unhappy with the way the commies are governing the country and are beginning to speak their minds. Even the commies themselves are griping openly. The discontent comes in the wake of President Obama’s historic visit to Cuba, where he talked out loud about the virtues of freedom of expression and how everyone deserves the chance to express their grievances over the way the government is doing its job on the people’s behalf. Dissent isn’t a bad thing, at least that’s how it’s viewed in societies that allow it. Such open grumbling has been virtually unheard-of in nations such as Cuba, where the communists took over a government run by an iron-fisted dictator. 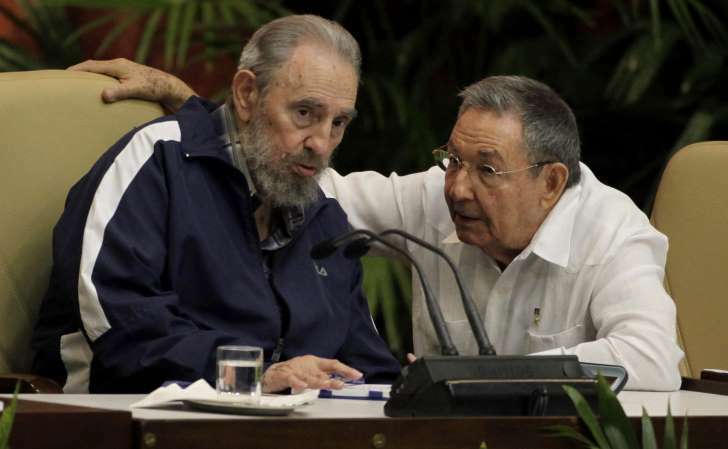 The revolutionaries led by Fidel Castro promised “change” in Cuba. They delivered it, all right … except that it looked a lot like the old way, only under the communist banner rather than the fascist banner waved by the preceding governing authority. The U.S. president brought attention to the need for greater freedom. Cubans responded enthusiastically to his message. Now, even the communists who run the place are griping about what a lousy job they’re doing. Ah, change is in the wind in Cuba. Somehow, you just knew this would happen. Back when there were many more Republican Party candidates for president, they all signed a “pledge” to back whoever the party nominates. That was then. Now that we’re down to just three men standing, they all now are going back on their pledge. As noted Republican analyst Matthew Dowd said this morning on “Good Morning America,” he never considered the pledge to be “the Magna Carta,” meaning he’s not surprised that the candidates are walking back their pledge of support for the other guy. Well, this is a byproduct of what has been the least dignified presidential campaign in memory — if not in history. Donald J. Trump said the Republican Party has “treated me very unfairly.” The frontrunner is mad because the GOP brass doesn’t want him to be the nominee and is staying up into the wee hours concocting a scenario that would deny him the nomination at the party convention this summer in Cleveland. Rafael Edward Cruz has said he is “not in the habit” of supporting candidates who attack his family, which the frontrunner — Trump — has done. John Kasich is no fan of either of the other guys. He especially appears to detest Trump and has said — almost categorically — that the frontrunner won’t get his support if he’s the nominee. As for Cruz, should he be the nominee, a Kasich endorsement also sounds a bit iffy. Trump, to no one’s surprise, said he never “pledged” anything. I guess that picture of him holding up that document in which he signed his name was a mirage. A friend of mine reminded me this morning of something a prominent Texas Panhandle politician used to say about how Republicans treat each other. They resort to a form of cannibalism. He said he hated the redistricting process. “Sure you do, Teel,” I would tell him. He just couldn’t stop doing it. Are we seeing the three remaining GOP presidential candidates “eat” each other? They just might take this intense dislike with them to that convention in Ohio late this year. Now that public opinion polls have become a staple of American political coverage, it’s good to look at the latest survey of Americans’ views of the job the president is doing. RealClearPolitics posts a national average of polls daily. President Obama now stands at 2.7 percent approval-over-disapproval in the average of polls that RCP posts. Why is this important? It’s important because most of the remaining candidates for president — Republican and Democrat — keep talking about polls and their relative standing among them. 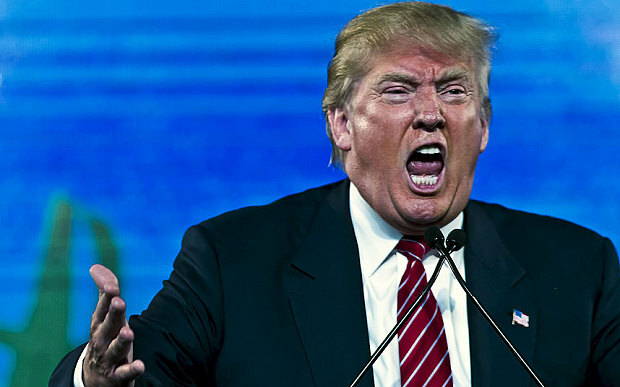 Donald J. Trump bellows constantly when the polls show him beating fellow Republicans Ted Cruz or John Kasich. Cruz counters with favorable poll reports when they suit his cause. Kasich keeps saying the polls show him as the only GOP candidate who can beat Hillary Clinton. Oh yes. Bernie Sanders keeps talking about the polls that show him “closing the gap” for the Democratic nomination with Clinton. Remember when pols said “the only poll that counts is on Election Day”? Not only longer. They keep yapping about the polls and the media keep reporting it. Thus, they have become important. Back to the RCP poll average. President Obama’s poll ratings had been in the tank for most of his second term. They weren’t necessarily horrible; just flat, lingering in the mid-40 percent range. What’s most interesting is that his favorable ratings were usually significantly less than his unfavorable ratings. Today, though, it’s different. His favorability rating, according to the RCP average, stands at 49 percent, nearly 3 percent greater than his unfavorable rating. One is that the RCP average takes into account all the major polling results done. Conservative polling outfits are measured, along with liberal polling companies. They’re tossed in altogether and you get the average of all the polls. The second point is that RCP’s average of polls about the job Congress is doing shows a 14 percent job approval rating.